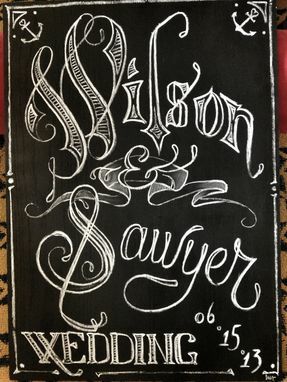 I hand draw and letter custom chalk art that can be used for signage or just to display as a unique piece of art. 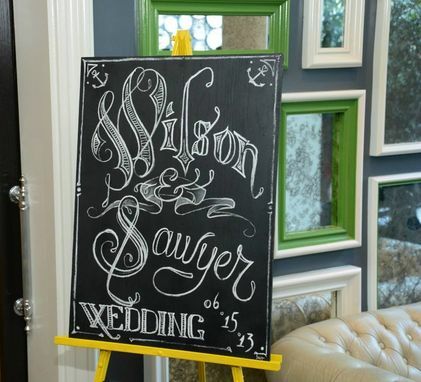 These make great signage for receptions, weddings, showers, conventions, price and menu boards, churches, and schools. 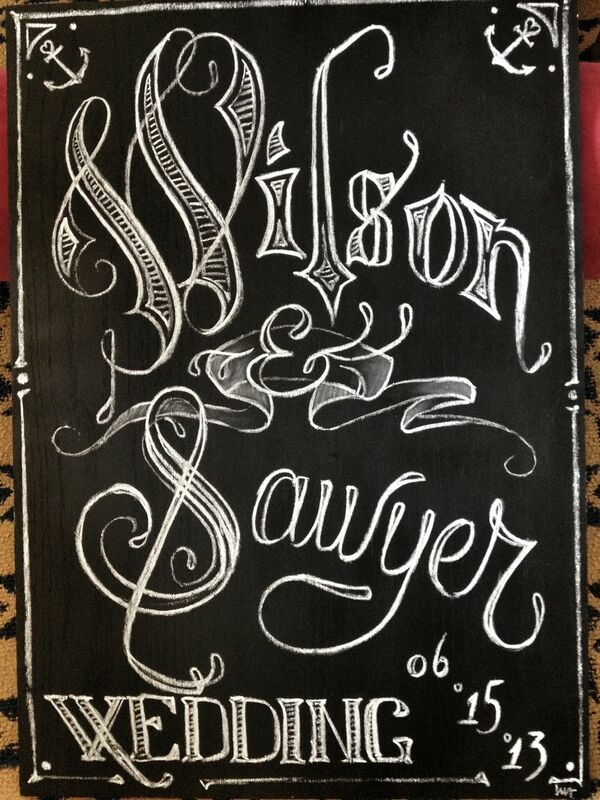 I can create your chalkboard sign in most any custom shape or size. I prefer to draw and letter in my own personal style which is highly influenced by the typography and adornment used in advertisings "golden age" off the mid 1800's thru about 1930, but I can create in any style you prefer.